You should use hair color remover, designed specially to remove hair dye from your hair, when attempting to remove hair color from your hair. I get asked all the time how to remove hair color from your hair, since the site is called "Stain Removal 101," even though this site is mostly about cleaning, laundry and stains. I've been asked this question often enough though that I decided to research the answer, and share my recommendations here in my Frequently Asked Questions section of the site. I'm not a beauty expert, but not only do people seem to accidentally drip and spill hair dye all over items in their home, they decide for a variety of reasons they don't like the color that they have dyed their hair. 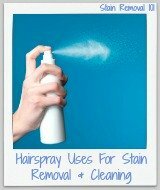 Here's my advice for hair dye stain removal from your clothes, carpet, and upholstery. There is even some advice for removing hair dye stains from your skin there. 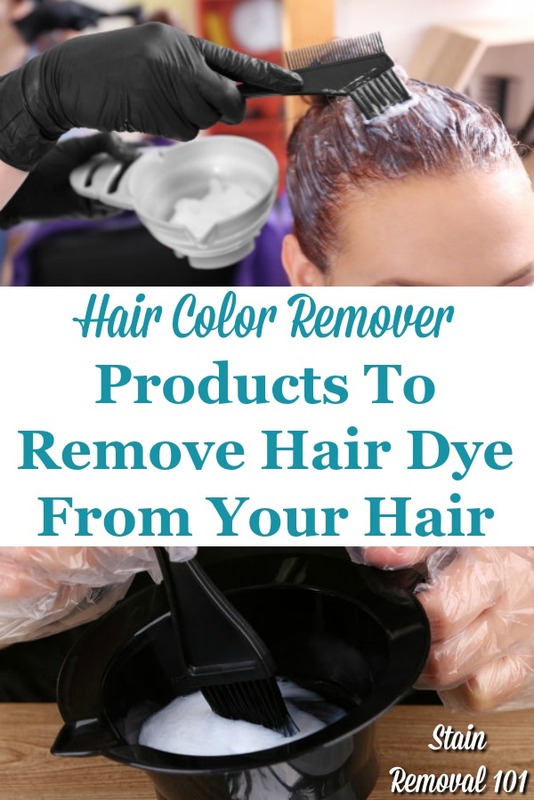 The problem with removing hair dye is that it is supposed to stain and dye the things it touches, making this type of stain removal difficult around your home. You run into the same issue with removing hair color from your hair -- it can be difficult to remove. Therefore, nothing that is on the market will work perfectly for you. 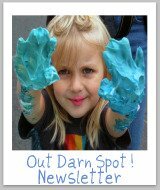 However, some things work better than others, and what I have researched to be the best in its class, at least to for use in your home, is a product called "Color Oops." Basically, this product is designed to remove permanent hair color (and also semi-permanent hair color) by applying the solution to your hair for 20 minutes, and then washing and rinsing it thoroughly several times. The manufacturers claim that it "shrinks" the dye molecules, so that they can be washed away. It does not contain bleach of ammonia, both of which can be very damaging to your hair. You should note that this product removes the dye from your hair, so if you lightened your hair first, before you dyed it, it will not return back to your natural color. Instead, it will just remove the dye from your hair and you will be left with a lightened or bleached hair, like you had before applying the dye originally. I first heard of this product when I read the book "The Hair Color Mix Book: More Than 150 Recipes for Salon-Perfect Color at Home" by Lorri Goddard-Clark. She is a professional hair colorist who has written this fabulous book to teach people how to get professional coloring results at home, with products from your drugstore. I totally recommend this book to anyone who likes to color their hair at home. 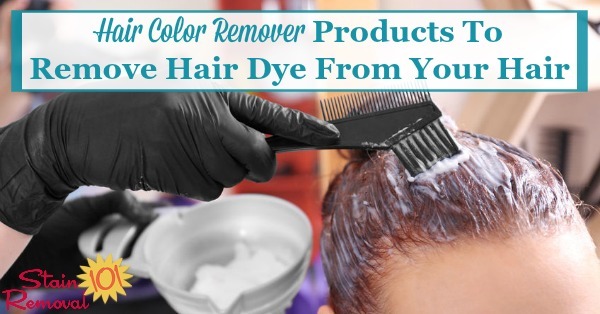 Lorri recommends Color Oops Hair Color Remover for those times when you decide, for whatever reason, that you don't like the dye in your hair. You can find this product in most drugstores, and online through the links below. In addition, I have researched Color Oops hair color remover a bit more, and found these two You Tube videos (see below) in which people tested this product, and discussed its pros and cons. The videos are also useful as a demonstration of how to use the product. Therefore, based on my research, I would currently recommend Color Oops as the hair dye remover you should use on your hair. Has anyone else used this product? If so, please share your reviews below, or recommend another hair dye remover that has worked well for you, to help people find a product that works well for them. ***Update: I've received a couple of reviews for Color Oops from readers since I originally wrote this page, both of which were positive. You can read more information and the reviews here. 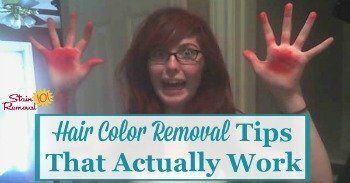 Have you used a hair dye remover to remove hair color from your hair, and thought it was just awesome? Or did you try something everyone swore would work on your hair only to find it made it worse, not better? Please share your review with me either way. Make sure you tell me all the pertinent information about the product you used, such as its name, what color dye you were removing and the natural color of your hair. 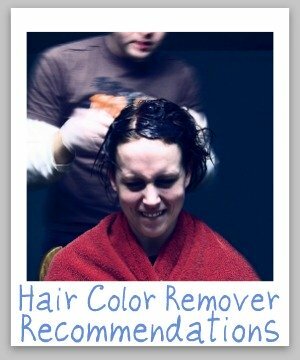 Click on the links below to see other readers' reviews of hair dye remover products. Feel free to comment on any of the entries with your own thoughts and experiences.